David Kinneman, best-selling author and Barna Group president, unveiled research done in partnership with ACU focusing on "Christians at Work." You might expect most people of faith to see being a “pastor” or “missionary” as the most sacred job a person could hold. However, new Barna Group research exploring how Christians approach their work found that, when asked if it’s better to be in ministry or to simply represent one’s faith well at work, 64 percent of employed Christians say neither route is superior to the other. In fact, two-thirds agree that it’s clear to them how their own work serves God. A full 6 in 10 working Christians firmly believe they possess talents to be used in service of God, but one-third wish they had a clearer understanding of how to do so. These and other thought-provoking statistics are found within the pages of Christians at Work, a just-published report from the religion and social research firm, Barna Group. Conducted in partnership with Abilene Christian University, Barna’s study set out to provide a comprehensive look at how working Christians think and feel about their calling and career. The data indicates that they seek (and often find) purposeful employment – 42 percent are looking to make a difference in the world – but also points to discrepancies along lines of gender, generation and faith practice. Christians at Work is Barna’s first release in a multi-year initiative focused on studying vocation. As just half of regular churchgoers in the study say that their church supports them in their career, the goal of this premiere report is to provide contemporary knowledge on the spiritual value of our day jobs and how Christians view their role in the marketplace. 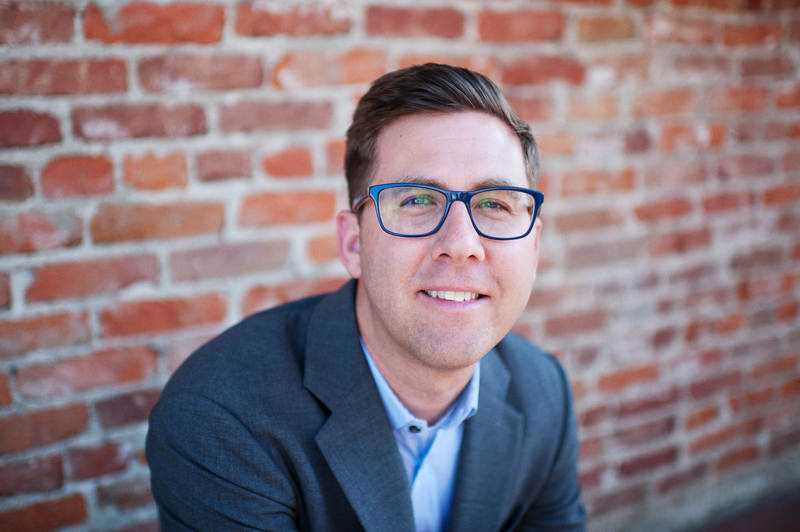 David Kinnaman, best–selling author and Barna Group president, unveiled his innovative research done in partnership with ACU during this week’s Summit lectureship. Well known for his books Good Faith, You Lost Me and unChristian, Kinnaman brings his influential voice on faith and culture to campus to launch a monograph that explores the intersection of Christian calling and career. 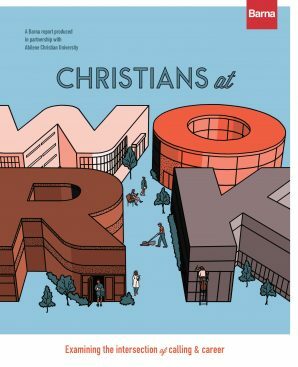 Christians at Work offers a broad and introspective assessment of a sense of Christian vocation, specifically through one’s employment. As the culture and our workplaces rapidly change – each uniquely marked by trends of digitization, globalization, secularization and individualization – it’s never been more important for people of faith to think deeply about what they are made to do and why they do it. The book may be purchased online at Barna.com. Kinnaman’s presentation explored how many Christians understand their vocational identity and offered insightful reflections on how the church and Christian universities might better equip Christians to understand their work as participation in the life and mission of God. The research is equally relevant to students anticipating a future career, working professionals deeply embedded in the workplace and church leaders looking for ways to encourage those whom they lead. Most Christian workers don’t see a strict spiritual hierarchy of professions or divides between “sacred” and “secular” jobs. Practicing faith is consistently correlated with feeling well suited to one’s work and wanting to have an impact. The generational ends of the labor force – Millennials and Boomers – have different career priorities. There are clear gaps in the professional fulfillment of men and women, and single and married people. Employed Christians’ faith impacts the way they see and approach their jobs. There is a lack of perceived support of respondents’ vocation and calling from their churches. Job commitments hinder church involvement, especially for those who approach work with great spiritual intention. The research also explores pastors’ perspectives on their own callings, and how churches address vocation. In addition to new data and analysis, Christians at Work includes candid interviews with expert voices in a variety of industries (artists, writers, social entrepreneurs, filmmakers, business leaders at Patagonia, Chick-fil- A and more) and multiple full-color infographics and data visualizations. This study began with qualitative interviews of 33 practitioners and thought leaders, representing a range of industries, conducted in December 2017 and January 2018. These phone interviews used a flexible script exploring respondents’ experiences of faith and work. Subsequently, a set of quantitative online surveys was conducted Feb. 27 – March 12, 2018, and April 18 – May 8, 2018, using an online panel. The sample included 1,459 self-identified U.S. Christians who agree somewhat or strongly that their faith is very important in their life today and who are employed (full time, part time or self-employed, including unpaid work for a family business). The margin of error for this sample is +/-2.3% at the 95 percent confidence level. Barna researchers set quotas to obtain a minimum readable sample by a variety of demographic factors, and weighted the data by ethnicity, education and gender to reflect their natural presence in the working population (using U.S. Census Bureau and Bureau of Labor Statistics data for comparison). Another quantitative online survey of 424 U.S. Protestant senior pastors was conducted March 1-12, 2018. These pastors were recruited from Barna’s pastor panel (a database of pastors recruited via probability sampling on annual phone and email surveys), and are representative of U.S. Protestant churches by region, denomination and church size. The margin of error for this sample is +/- 4.8% at the 95% confidence level. Barna Group is a private, non-partisan, for-profit organization under the umbrella of the Issachar Companies. Located in Ventura, California, Barna Group is a research firm dedicated to providing actionable insights on faith and culture, with a particular focus on the Christian Church. Since 1984, Barna has conducted more than one million interviews in the course of hundreds of studies, and has become a go-to source for organizations that want to better understand a complex and changing world from a faith perspective. Barna’s clients and partners include a broad range of academic institutions, churches, non-profits, and businesses, such as Alpha, the Templeton foundation, the Bill and Melinda Gates Foundation, DreamWorks Animation, Habitat for Humanity, the ONE Campaign, Paramount Pictures, Sony, and World Vision. The firm’s studies are frequently quoted by major media outlets, including The Economist, BBC, CNN, the Wall Street Journal, Fox News, The New York Times, and more. For more information about Barna Group, please visit barna.com.